You know what people at Iowa State never say? “Finding my place was fun and easy!” That’s because looking for Iowa State off-campus housing usually involves patrolling the neighborhood, writing down every landlord’s phone number you can find, until you get a callback. And half the time you don’t! That’s why Rent College Pads has built a database of Ames landlords to help college students find the best off-campus housing options. With us, you’ll find the perfect ISU student housing within walking distance of campus that won't break the bank. Rent College Pads is your number one resource for Iowa State University off-campus housing. But don’t just take us at face value. Check it out for yourself! Filter options down to your specific, most important requirements. Search by bedroom, bathroom or whatever amenity matters most to you. A lot of students stay in the University West community, but even more live in luxury student housing near campus, so you’ll need to act fast if you want to get a great place. Check out our Iowa State guide in the navigation bar above to learn more about renting in Ames, Iowa. You’ll be able to unpack and settle in to enjoy your new pad for a few months before you have to begin the hunt for your next house or house near Iowa State University. The majority of students search during the late fall, particularly in October and November, but that’s mainly the students looking for rentals for large groups. Four or five bedroom houses always go first, especially those in Campustown. If you’re looking to compare one-bedroom or studios near campus, you can wait a little bit longer. Student housing communities can still be pre-leased into the second semester around Spring Break. It's not at all uncommon for students to visit home for parental advice over winter break before signing a lease. As the largest college campus in Iowa, Iowa State rent prices are a little bit higher than neighboring campuses like the University of Iowa and the University of Northern Iowa. But fear not! There are still ways to save a few bucks. You’ll find statistics on average rent, per person, per bedroom in the chart below. If you’re smart, you can find a great place for an awesome price and still get the incredible college experience that a larger university like Iowa State provides. Four bedroom units are typically houses, but larger buildings like luxury student places The Foundry and The Madison with more bedrooms have gone up in recent years. If you are looking to take advantage of the more roommates savings special we would recommend renting a house off Lincoln Way or Dakota Avenue very early in the first semester, because they are the first to typically be rented. A BlockOne Community, 23 Twenty Lincoln offers the kind of upscale, luxury living you didn’t think was accessible to the typical college student. Located just steps from campus, you’ll no longer have an excuse to skip class, so it’s safe to say your grades will thank you when you sign a lease. Wessex is a gated community that features a variety of apartments and townhomes perfect for the Iowa State graduate student. Situated near a scenic 3-acre lake, Wessex’s quiet atmosphere is the perfect spot to hunker down and finish that thesis you’ve been working on. Total Property Management manages over 400 units throughout the Ames area, many of which are just a stone’s throw from campus. For those who aren’t fans of Ramen noodles for every meal, TPM has some of the most affordable rates in town. In 2015, The Ames Tribune voted Hunziker Property Management Ames’ Best Property Management Company, and we can see why. The company’s portfolio spans the city of Ames, so whether you want to live right near the heart of campus to get the full college experience, or you’d rather be away from all the action, Hunziker has something for you. Professional Property Management services many areas across the state of Iowa and manages a number of properties in Ames near the Iowa State campus. The company is true to its name, focusing on quality customer service and—you guessed it—professionalism. The Grove offers a resort-style living to students at both Iowa State and Des Moines Community College. When you feel homesick and miss your old room, you can take comfort in the fact that your new one has a walk-in closet and a poolside view. Jensen Group offers Iowa Staters “everything they want, need and deserve” from a property management company. Versatile floor plans, free cable and internet, in-unit laundry and on-site parking are only a few of the things you will get when you sign a lease with Jensen. ISU Campustown offers students at Iowa State a variety of great locations near campus with the added benefit of the privacy that comes off-campus living. Signing a lease with Campustown gives you full access to The Resort, where you can work out, relax in the hot tub or grab a quick bite to eat at one of their on-site dining locations. Life at Iowa State University is full of good times and even greater food. All college students need a go-to pizza joint, and Great Plains Pizza is ISU’s best option. If you’re not feeling Italian, swing by the classic Hickory Park Restaurant. With 100 menu options of hickory smoked meats and parlor style sundae desserts, you won’t be disappointed. But if you are, there might be something wrong with you -- students have been praising the place for 45 years straight. Sadly, college isn’t all beer and bar food. But there are plenty of other things to do with your time off! Lake La Verne is a great place on campus to hang out and relax. To enjoy the lake up close, rent a boat or canoe from the campus Rec Center and go for a cruise. Tubing and swimming down the Skunk River is another great way to enjoy the outdoors in Ames. You can also stop on the South River Valley Park for an afternoon picnic or a sporting event with friends. Another enjoyable park with wooded trails is the Ames Park and Recreation Center. Planning a larger trip into the outdoors can be hard when you don’t know the area or don’t have the tools you need to enjoy it. But don’t worry! If you lack proper equipment, the Outdoor Recreation Center has equipment rentals, as well as student workshops and campus-planned outdoor trips. A lot of the student body is very content relaxing on campus and enjoying activities hosted in the Memorial Union. The Central Campus lawns are the premier real estate to relax or enjoy the company of friends while keeping an eye out for the elusive albino squirrel. Many organizations on campus host great activities. For great concerts, the Student Union Board is known for bringing headline-worthy performers right on campus for your enjoyment. If you’re a night owl, taking a stroll over to the Memorial Union for ISU After Dark can be a great way to socialize and blow off some steam. Attending a Cyclones sporting event can be the best way to unapologetically express your school pride. If you’re at your first football game, be prepared to learn the lyrics to Neil Diamond’s classic “Sweet Caroline,” which students sing during the 3rd and 4th quarters (and of course, after the home team wins, too). Touchdowns are celebrated with the Cyclone cannon, which booms after players score. And when the team wins, you’ll hear the iconic sound of the Victory Bell. If you’re into basketball, get ready to make some noise: Hilton Stadium is built to hold in sound, and crowds have actually shaken the court floor with their cheering before. Enthusiastic fans might play a part in the phenomenon sports reporters have dubbed “Hilton Magic,” a mysterious circumstance where Iowa State routinely manages to dominate their opponents in miraculous upset victories. Also known as Downtown Ames, the Main Street Cultural District is where food, drink and shopping come together to create a vibrant city center that’s rich in both history and entertainment. 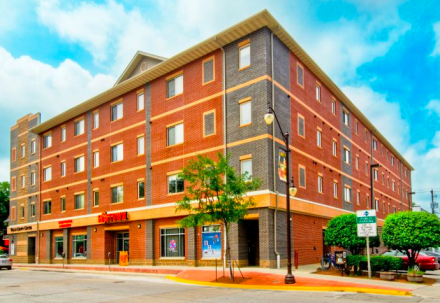 This is the perfect place to live for students who prefer an apartment near ISU, as there are numerous off-campus suites and multi-bedroom places in the area. Being close to the town center means it’s only a short walk to the numerous bars and restaurants on Main Street. The district also features a variety of famous Ames festivals such as the annual ArtWalk, where painters, photographers, sculptors, jewelers and more showcase their creativity in action. Food festivals include the Foodies & Brew and Restaurant Week celebrations. Situated a short distance east of the Iowa State University campus, the Old Town Historic District is a quiet neighborhood rich with architectural history. 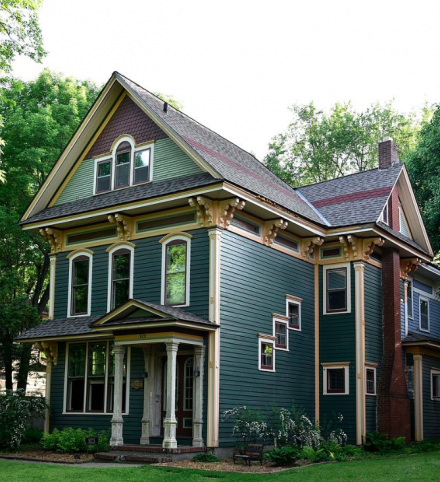 The district features a collection of beautiful Ames homes from the 1870’s to the mid-1920’s. 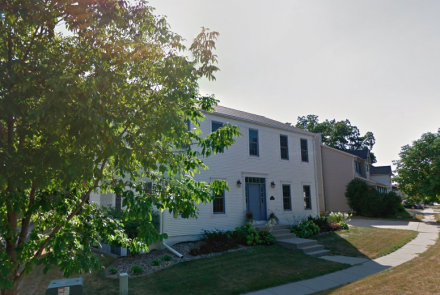 The neighborhood was designated as a local historic district in 1989 and is mostly home to permanent residents, but its close proximity to campus and downtown Ames makes it a great place to live if you’re looking for an apartment or house for rent near ISU. Just south of campus proper is where many Iowa State students make their homes: Campustown. The name is self-explanatory, but it’s more than just an extension of ISU. The surrounding area boasts convenient and exciting restaurants, bars and coffee shops. Many Iowa State students comment on how nice it is to only have a ten-minute walk to campus, and some use that time to stop for a quick coffee before class each morning. For undergraduates looking to live in Campustown houses and apartments for rent, there are a ton of options from many different landlords. Less residential but more practical than its village counterpart, East Somerset contains a local supermarket, fitness center, gas station and shipping center. It’s further from ISU than the village, but the neighborhood is right on Grand Avenue, which leads directly into the Old Town Historic District and Main Street Cultural District. From there it’s only a short drive to campus. It’s also right by the South Skunk River, which is much more scenic than the name suggests! Check out East Somerset houses or apartments for rent if places that offer convenience and flexibility are what you’re looking for.